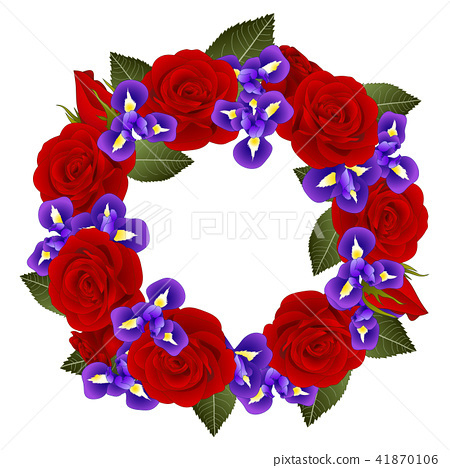 Red Rose and Iris Flower Wreath. isolated on White Background. Vector Illustration.